The note-taking process is as simple and intuitive in Outline as in your old paper notebook. Click anywhere on a page and start typing when the cursor appears. 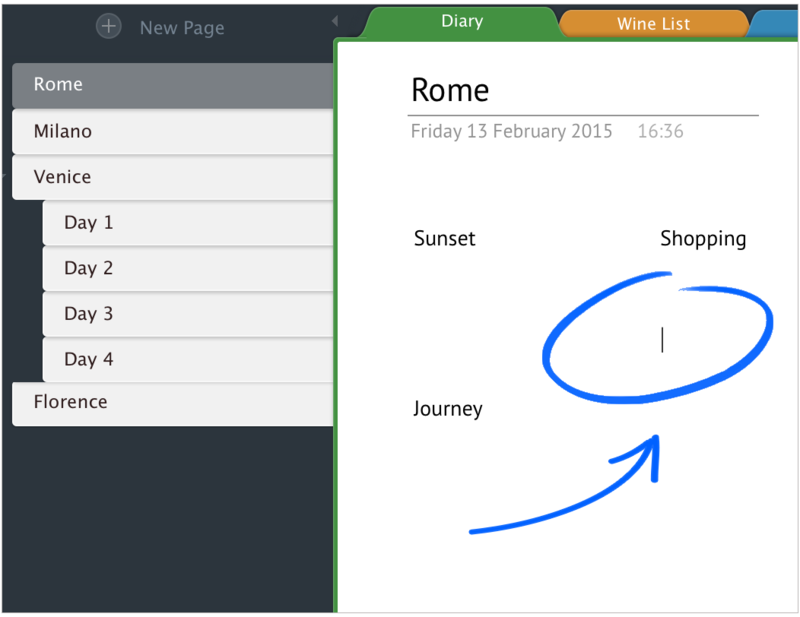 Your note gets outlined when you begin working with it. 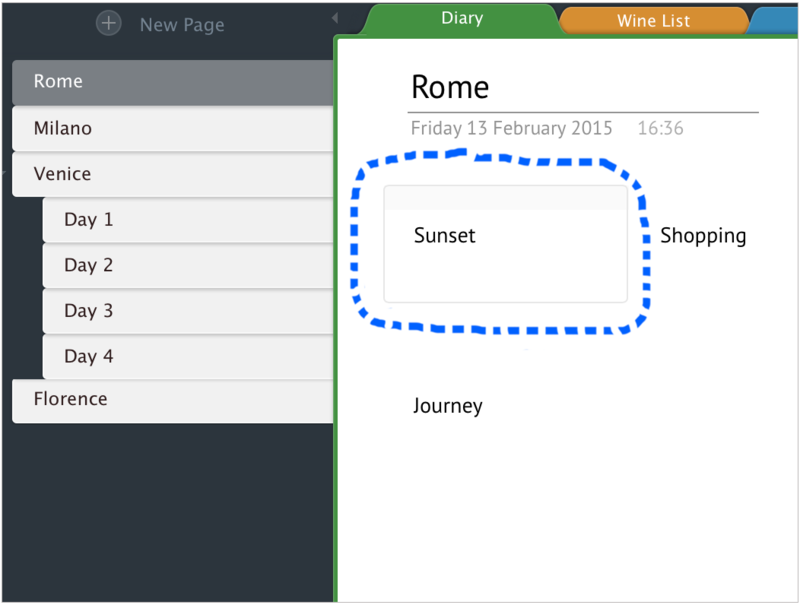 If you want to edit an existing note, place cursor on it and click. Now you can continue typing or select existing content to modify it. Customize your notes: highlight important once, add tags, images and attachments using toolbar at the top of Outline window. 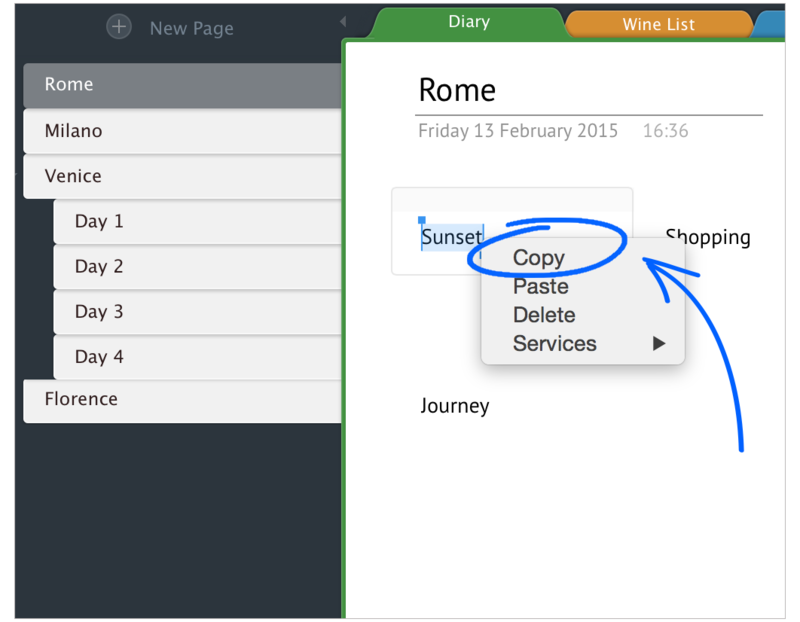 Right-click on the header of an outline and choose Copy or Paste depending on what you`d like to do. 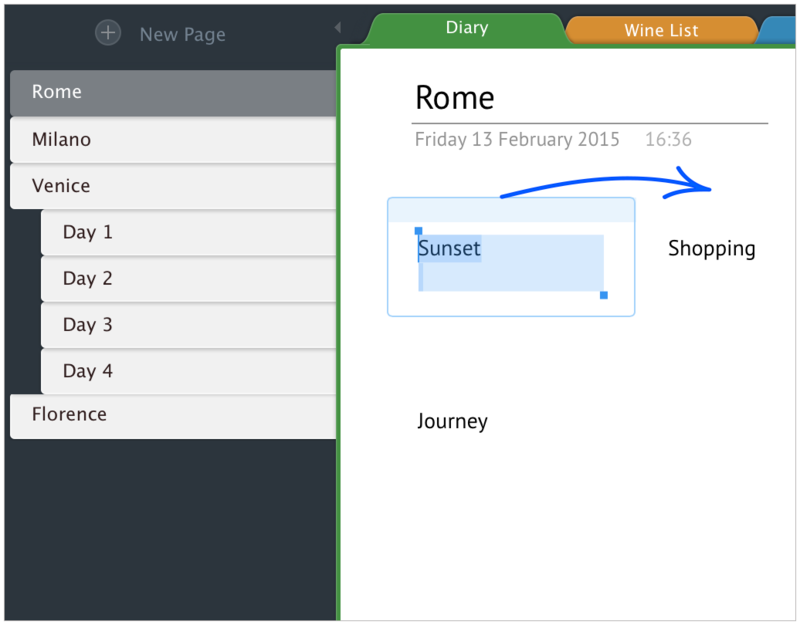 Click on the header of an outline, drag and drop it to a new place.